Can a city deny me a permit just because they want to? ForumsArrowGeneral Real Estate InvestingArrowCan a city deny me a permit just because they want to? I am an investor in Cleveland, OH. When opening a boarding home, the city requires you to attain a permit. Now If your home is in the proper district, and everything is up to code, can the city deny me a permit because they want to? Can the city just say "We don't want a rooming house on this street because it could negatively affect the neighborhood?" Also, we are assuming the property is not with in a 1000 foot proximity of another Residential facility. So the neighborhood would NOT be clustered with these types of homes. If they do deny my permit because they don't want more rentals in the area, what can I do to combat that? Thanks in advance. That’s a Local specific zoning/use issue. Sounds like you don’t know the exact requirements for a “rooming house” there.....find out. Also need to know the laws for running a boarding home, permits and licenses associated with them as well. I did check. Requirements are straight forward.. The reason I ask this question is because of THIS "requirement" "The Zoning Board will make the final decision....Residents in the neighborhood will be notified of the public hearing and will also have a say" Something along these lines. You will need a attorney who knows the game . @Joshua Hollandsworth if the city is soliciting input from neighbors, that indicates your proposed use does not conform to the current zoning code. It sounds like you are applying for a special use, special exemption, or whatever particular term the locality uses. And in that case, yes, the zoning authority may deny the application based on negative feedback they receive from the neighbors. Of course I don’t know the specifics of your situation, but that is what it sounds like to me. @Matt Clark Thanks! I get mixed up looking over ALLL the zoning codes. I was told by the district's planner that a residential facility which houses 3-5 Unrelated adults is permitted in all districts except Limited 1 Family. I used the G.I.S. Interactive map AND confirmed with the Zoning Board AND Building Department personally, that I am not in a buffer zone that would disqualify my home from becoming a Boarding House. I need an SRO LICENSE from the State. Which is all good. (Smoke detectors, window placement, exits, etc.) I do not need a Vendor's because I am housing less than (5) residents. The only part in question is "The Zoning Board will have the final say, and determine whether or not the change of Land Use will negatively affect the community." A "permit" allows you to build, renovate, etc. However, zoning typically needs to approve certain types of changes (I often to do Commercial to Residential conversions). What you really want to do is speak to a local Zoning attorney. Most of them will talk to you about your situation for no cost and you pay only if you hire them. That being said, please note that there may not be any attorneys that are very familiar with the Boarding house ordinances as I'm assuming there are not many around (at least if you are similar to NJ). In this case, it looks like Zoning can deny you in the end if they want. Bottom line is in these cases, you are at their Mercy and they can deny you for whatever reasons they may have ( Boarding rooms typically are NOT desired by any neighbors as they are basically a low-end short-term hotel). Call the person in charge of Zoning and you can likely go and have a sit-down with them. These people typically don't bite and are happy to help in most towns. Whatever you do, DO NOT commit money to this unless you have done your due diligence. No one in this forum is going to be answer conclusively either so your best bet is to speak with a local zoning lawyer and also to the zoning officer in town in detail. I have found out the hard way that anything related to zoning approval will require a lot of time and patience and there is no sure thing as far as approval. Don't give up though - it's just one more thing you can learn to master and add to your toolbox. @Joshua Hollandsworth A city can absolutely deny a use permit. You can usually buy a property and use it for its original intended purpose without too much trouble or review, but when you try to use it for a different, non-conforming purpose most cities have some sort of planning/zoning commission that will have to review and approve it before its approved. This happens all the time. During the review/approval process, the commission will evaluate things like the original intended use, the vision the city has for the area, saturation of similar type businesses in the area, input from local neighbors, input from other city departments (like the police department), etc. I've actually spoken at planning commission hearings before when I either supported or opposed certain businesses that tried to obtain a use permit to operate near my house. Some things you can do beforehand are: research the area to understand the local demographics and whether any similar type businesses have previously been approved, whether there are any currently in operation in the proposed area, if there are - evaluate what they are doing right or what they are doing wrong (how are they similar or dissimilar to your proposed property), reach out to the neighbors and get their input and try hard to get them on your side, reach out to the police department and listen to any concerns they might have, etc. Ultimately, you need to assure everyone, especially the neighbors and the police department, that you have good plans/intentions and try to get them on your side before you apply. Because their opinions typically carry a lot of weight and if they speak out against you, I'd be willing to bet that you'd have a tough time getting approved. Even if you're totally in compliance with all city codes and regulations, some zoning decisions allow for neighbor input. If the neighbors oppose your plan, even if the city supports it, you may get denied. I'm sure you've heart the phrase NIMBY - Not In My Back Yard. That's what you sometimes bump into. @Kyle J. Thanks for the response. I'm scared to apply. I know investors in this area (It's pretty ghetto. Most houses are sub 50k) that are doing this without permits. 1 street over there are 8 people living in a 3 Bedroom. 7 cars parked in their front yard. 70% of the homes in this market are rentals. All of these landlords are breaking occupancy laws... I fear that if I go to apply, and do things the right way, then the city will deny me and I will be under their radar. I don't see how a rooming house would benefit the neighborhood.. If thats the case, I don't really stand a chance. The police Department will almost definitely be against this type of housing. Is there a lawyer who could represent me and my appeal? With all due respect, if you read all the posts, I think you have all the info you need to take action to figure out if this will work or not. I don't think anyone can answer about an appeals with a lawyer when what you need to do zoning wise isn't clear. You have to do the legwork based on the posts here and figure the rest out out. You will learn a lot doing this so go do it and report back. @Amit Patel Will do. Thank you! The real question is why do you even want to operate a rooming house in the ghetto? It's nothing but transients, hookers & junkies living in those things. Lots of better ways to make money in RE then this. They're not just supposed to be arbitrary and prevent you from doing something because they want to. They should have to stick within the rules for zoning and other city ordinances and what not. I'm sure such things happen from time to time though. @James Wise @Andrew Syrios Thanks for the replies! I want to open a rooming house because the cash flow is better than any Duplex/SFR deal on the West Side. Where else can you buy a 30k house and collect $2000 Gross? I will screen them.. 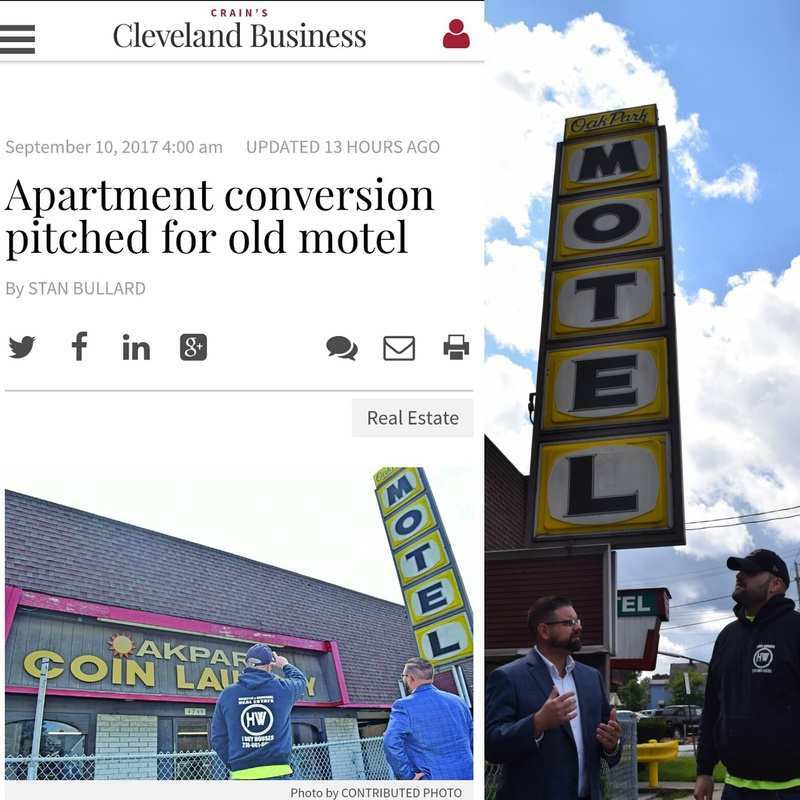 Most rentals In Cleveland are full of hookers and junkies. It doesn't matter what type of housing it is. I am not saying that to be ignorant, I know that you are an expert, James. I would love to hear about better money in RE. I appreciate all the advice I can get. Please send me some info. Ask a competent local attorney.....no one else for now. Don't assume the city won't try to call your bluff and hope you just take their word for it instead of educating yourself. They do it all the time......and I would absolutely throw the other non permitted investors under the bus if they were doing something that I was not allowed to do just because I followed the law. I'm not saying the city isn't right on this matter, I'm just saying don't tuck your tail and run right away, educate yourself on the matter. @Sean Kremer Thanks for the advice! I think I will do. Would that be a Zoning Attorney? And what do you mean call my bluff? I've been researching this similarly in a specific city in NJ, but for a different change of use. It is not easy. Zoning maps and tax records are just the start, but zoning has to be confirmed with the zoning official, which it sounds like you have done. In my case at least, there are permitted uses in a zone which are listed, but if the existing use of the property isn't the use you plan on even though it is permitted, then it goes to the Planning Board, a lower hurdle. If the use you want is not permissible then, the it goes to the Zoning Board, a higher hurdle. In either case for what I'm doing, I need an architect for the site plan for the change of use and a land use attorney for the legal aspects and complying with the notifications to the surrounding property owners. Now here is the part you might not want to hear, I know I didn't at first, but I'm coming to terms with it. 1) This is going to cost money. 2) You need to find the "right" attorney and architect ( if needed). The city I'm investing is very political so I knew I needed to seek out the architect and attorney who in this case do about 95% of all of the submissions in the city and get most applications past. You aren't necessarily paying for just their expertise, but how they are connected with the city and who the board trusts and are used to. The way I found both the architect and the attorney were at the city zoning office. I went to ask questions about zoning on a property ( I didn't even know what I was talking about at that point) and the architect who was on line overheard and offered to help and provided his business card; right after he handed me the card, I watched him go into the office of the zoning officer for a private meeting, which was a good clue. I asked around about the architect and found he was telling the truth about doing a lot of business in the city and in fact has been hired by the city for projects on their behalf. Regarding the attorney, the zoning officer just blurted who I should talk to. The point being is that to find the right attorney or anyone else you need in a professional capacity , you have to ask around, and get involved. Places like zoning offices, building departments, and record vaults are great places to run into these professionals or people in the RE business who can make good referrals. Good luck. If you are going to limit yourself to a 30k budget You'll do better just renting it to a family. You familiar with the old Oak Park motel? I just bought that. The previous owner was renting rooms by the day to nothing but junkies & hookers. He wasn't making the $$$. Just the opposite. We shut down the Motel business on day 1. No money to be made dealing with nothing but undesirables. Why do you think the city wants to have the neighborhood vote to allow you to do it or not? Those types of properties do not help the city. They bring nothing but trouble. I think you'll find out the hard way that you won't be making anywhere near $2,000/mo on this property. I've encountered city government meetings where their attorney will tell them that an ordinance or whatever they are voting on may skirt the law a little bit and their attorney will tell them to go ahead and vote on it and if a citizen figures it out and calls them on it they may have to amend. But they hope that no one ever calls them on it and a questionable situation gets through. Thats why I say to find a competent real estate attorney and ask him so that you have a professional on your side working for you. Don't assume a council will not try to push through their own interests. Especially if no one is there to call them on it. Just my observations. I've had legislators tell me no to something that I've wanted to do...and after a little investigation, I've found that they own property near mine and they personally don't want it there and use their office to try and intimidate me, and hope I go away. I never blindly follow authority, They may be right......but they may be wrong too...... you don't need to be a jerk, but also don't be a sheep. Question everything.